We provide scrap bins for the collection and removal of scrap metal. Call Us to arrange and we will deliver to your site in an appropriate time frame that suits you. 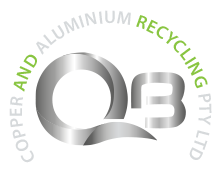 QB Copper Recycling appreciates the efforts of property owners to go with eco-friendly disposal for their scrap metals. We understand the need for bins, especially when collecting scrap from renovation and construction sites & projects. We provide a bin service that is designed to accommodate the needs of your scrap for easy collection. We provide various sizes and styles to suit different requirements. Our bin service makes recycling scrap metals easy as you can collect scrap over a period of time and hand it over when the bin is full, instead of making frequent visits to our yard to deposit small amounts of scrap metals. Our bin service makes recycling scrap metals a much more easier and efficient process. Our lugger bins feature a high or low back for easy loading and accommodate up to 10 tons of scrap metals. Our roll off bins is available in various sizes such as 4’ to 8’ and are ideal for scrap car removals. End dump trailers with a maximum capacity of 22 to 25 tons. Flat deck trailer with a maximum capacity of 22 to 25 tons. Steel sided trailer with a maximum capacity of 22 to 25 tons. Our rail cars can accommodate up to 96 tons. Call us at 08 9458 2993 or 0411 318 857 for more information on our bin services Perth.